Breast masses in pediatric patients are often managed similarly to adult breast masses despite significant differences in pathology and natural history. Emerging evidence suggests that clinical observation is safe. 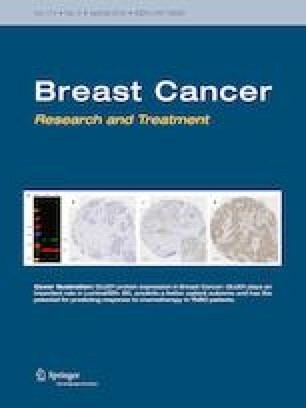 The purpose of this study was to quantify the clinical appropriateness of the management of benign breast disease in pediatric patients. A multi-institutional retrospective cohort study was completed between 1995 and 2017. Patients were included if they had benign breast disease and were 19 years old or younger. A timeline of all interventions (ultrasound, biopsy, or excision) was generated to quantify the number of patients who were observed for at least 90 days, deemed appropriate care. To quantify inappropriate care, the number of interventions performed within 90 days, and the pathologic concordance to clinical decisions was determined by reviewing the radiology reports of all ultrasounds and pathology reports of all biopsies and excisions. A total of 1,909 patients were analyzed. Mean age was 16.4 years old (± 2.1). The majority of masses were fibroadenomas (60.4%). Only half of patients (54.3%) were observed for 90 or more days. 81.1% of interventions were unnecessary, with pathology revealing masses that would be safe to observe. The positive predictive value (PPV) of clinical decisions made based on suspicious ultrasound findings was 16.2%, not different than a PPV of 21.9% (p < 0.25) for decisions made on clinical suspicion alone. Despite literature supporting an observation period for pediatric breast masses, half of patients had an intervention within three months with one out of ten patients undergoing an invasive procedure within this time frame. Furthermore, 81.1% of invasive interventions were unnecessary based on final pathologic findings. A formal consensus clinical guideline for the management of pediatric benign breast disease including a standardized clinical observation period is needed to decrease unnecessary procedures in pediatric patients with breast masses. David C. Chang and Cassandra M. Kelleher are Co-Senior Authors. The online version of this article ( https://doi.org/10.1007/s10549-019-05224-w) contains supplementary material, which is available to authorized users. ML Westfal is financially supported by the National Institute of Diabetes and Digestive and Kidney Diseases of the National Institutes of Health (Award Number: T32 DK007754) and by the Massachusetts General Hospital Department of Surgery Marshall K. Bartlett Fellowship. The content is solely the responsibility of the authors and does not necessarily represent the official views of the National Institutes of Health. This study did not involve contact with any humans and therefor informed consent was not required. Informed consent was waived with approval of the Massachusetts General Hospital IRB.